Sprint’s(s s) new chairman Masayoshi Son not only officially confirmed his interest in acquiring rival T-Mobile(s tmus) in an interview with PBS’s Charlie Rose Monday night, he revealed his plan of attack for getting the deal approved. Son, who took over Sprint’s board after his company SoftBank purchased control of the carrier last summer, promised Sprint would launch a price a war against AT&T(S t) and Verizon(s vz) if the merger went through. Son’s argument is that Verizon and AT&T, as the country’s two mega-carriers, have such scale they effectively face no competition. Basically Son is making the case that even though AT&T’s acquisition of T-Mobile was stillborn, the duopoly Sprint always feared still emerged. Only by creating a third mega-carrier can regulators break that duopoly hold, forcing down prices for consumers, Son claimed. That’s a powerful argument if it falls on the right ears, but anyone that looks at what’s actually going on in the U.S. mobile market right now wouldn’t be so convinced. There’s already a price war raging, and it wasn’t started by Sprint. Tiny T-Mobile launched that offensive on its own, and it’s having its intended effect. In the last nine months, all of the major carriers have lowered pricing to a greater or lesser degree. They’ve started offering more flexible plans for customers who buy their handsets outright. And they’ve all emulated T-Mobile’s new upgrade program Jump. Even the country’s most expensive carrier Verizon hasn’t been immune, though it’s been more insulated than AT&T and Sprint. The average bill may not have gone down, but consumers are getting a lot more for their dollar. Son would probably make the argument that a merged Sprint-T-Mobile could redouble those efforts, escalating the price cuts to new levels. That is a possibility. But Sprint’s track record would indicate it would do the opposite. When SoftBank and Son took over Sprint they were supposed to end the carrier’s long period of stagnation. Billions of dollars in new investment, the shedding of the Nextel albatross and the takeover Clearwire – these moves were all intended to revitalize Sprint. But so far we haven’t seen much evidence of that. Sprint grew its subscriber base in the fourth quarter, but mainly through wholesale connections. And its LTE rollout continues at its same snail-like pace. Sprint CEO Dan Hesse maintains that it will take time to bring Sprint back on course, but it appears Son is growing impatient. In a behind-the-scenes look last week at the culture clash between Sprint and its new chairman, the Wall Street Journal reported that Son has attacked Sprint’s advertising strategy as “stupid.” Son compared Sprint to Daimyo in feudal Japan, exerting absolute power in its fiefdom of Kansas City but having no influence anywhere else. Probably not coincidently there’s been a shakeup in Sprint’s executive ranks with key executives in its marketing and network engineering groups departing. But Son’s answer seems to be to make what is already a complex problem much more complicated. Merging Sprint and T-Mobile wouldn’t create overnight a full-fledged mega-carrier ready to wage battle in the price wars. It would take years of integrating operations and networks. T-Mobile and Sprint use fundamentally different technologies in their 2G and 3G networks and sell completely different sets of devices. The bands their LTE networks run over don’t even match up. Son says that the government just needs to let him buy T-Mobile and Sprint will lead a mobile pricing revolution. But I’m unconvinced. I have much more confidence in T-Mobile to lead that revolution without Sprint’s help. Under no circumstances should the Feds allow Sprint to acquire TMo. Sprint is a sinking ship. Son bought a lemon. No, Softbank purchased a pig in a poke when buying Sprint, a clear loser, who has outsourced much of it’s network operations to Ericcson. 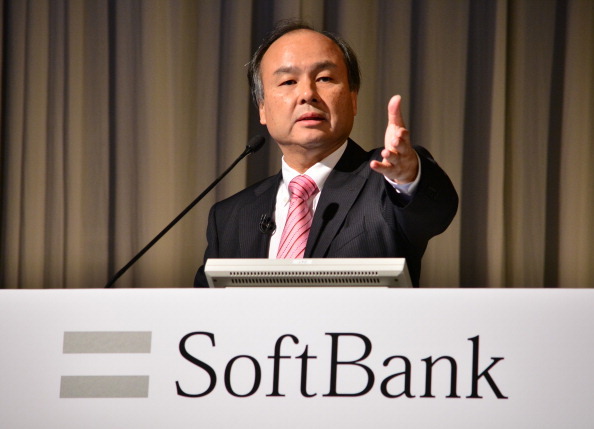 Softbank needs to own it, spend big to fix it, and then we’ll talk about allowing to buy up your competition. Sprint is clearly in last place and desperate. Force them to friggin’ compete. Sprint bought out Clearwire and what happened??? Unlimited data for mobile hotspot users is gone! That’s not what I call competitive action. I’m getting really sick and tired of these GREEDY SUITS talking about competition when the reality is consumers are given less and less choice as time progresses. Three years ago I could get a Virgin Mobile MiFi hotspot with unlimited 3G data for $40/month. Where is that today? Just two years ago I was enjoying my Apollo 4G mobile hotspot with unlimited data, and now that’s history too. Innovation is dead in America. This “screw the customer” mentality is doing nothing but making the rich get richer. There is NO technical or financial reason why unlimited data cannot be done at a price that’s affordable to everyone. None. Because Unlimited hotspot data is killing the user experience for the majority user, AKA smartphone users. why doesn’t Son start out by waging a price war with sprint first. the Us market is due for some serious ARPU drops, i would love to see sprint get the ball rolling first and look into buying t-mobile after. I agree with you there Frank. Sprint is doing some interesting things with Framily and whatnot, but it doesn’t have the sense of urgency that T-Mobile has to shake things up. Please we cannot let this happen! I just left stupid sprint for t mobile. T mobile is so much better!! Except that what would really benefit consumers most is a decline in that average bill. And, though VZ and T are the duopoly as described, Sprint’s interest in TMobile probably has a lot to do with competing against a Comcast (that looks like it will now include Time Warner) and its thousands of “CableWiFi” hotspots—fully capable of supporting voice services for Comcast residential customers as they roam around in their travels— that blanket 19 of the top 20 metropolitan areas. Hey Mike, I agree with you in part, but I don’t think you can just dismiss the fact that consumers are trading up for more services. Average smartphone data usage is doubling every year. Verizon just dropped the price of my data plan by $10, but instead of taking the monthly cut to my bill, I went up to the next data tier since my monthly usage was inching up beyond the cap. I suspect that many people are doing the exact same thing. If you want cheaper in this market, there are many options. You can go prepaid, switch from VZ or ATT to T-Mo or Sprint or go with an MVNO, which have dirt cheap rates. Don’t get me wrong. I realize that carriers are making money hand over fist, and I realize they manipulate plans so downgrading your plan to get service isn’t always an option. But I’m paying the same rates I did a year ago and I’m consuming twice the amount of data. If you asked anyone on these boards last year if that would be possible, I’m pretty sure they would have said no. It could be better, but I still think it’s a good thing. uh huh…. nice try Sprint.